The newest issue of Knits Fall is out and about, and I just wanted to share with you guys what I think are some of the coolest little details about a few of these designs; the things that really take them above and beyond. The details can take an outline to a fully fleshed out essay, they take art to the next level, they take these designs from run-of-the-mill to extraordinary. 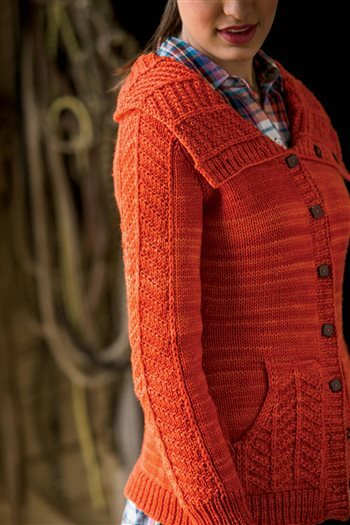 The Redfern Cardigan features a folded over collar at the top and the designer, Ramona Gaynor, took the care to make sure that the collar was worked so that when it's folded over, the texture is still right-side out. Whether the collar is buttoned up turtleneck style or laid flat for a more preppy look, the collar texture (which is echoed through the sleeves and pockets) looks outstanding and really draws the eye in. The right side of the collar faces the wrong side of the cardigan as it's being knit making this special design element super simple to achieve! 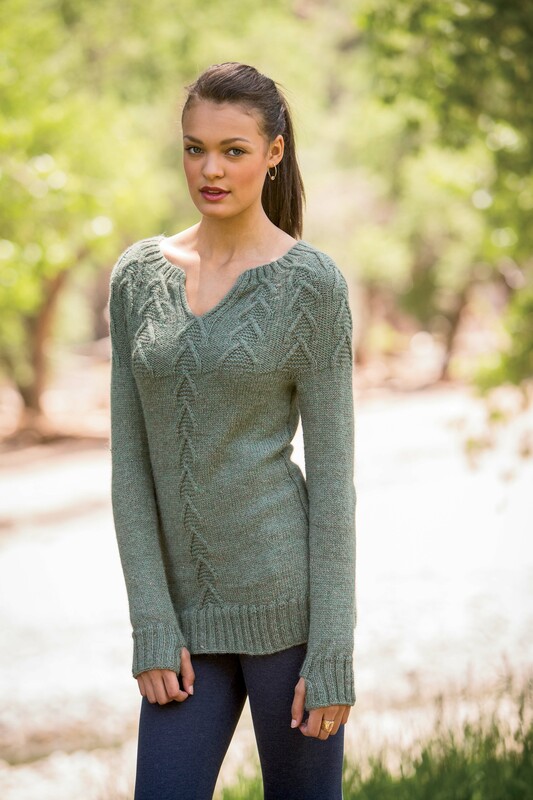 Maria Leigh's stylish Meadow Tunic features a circular yoke with a beautiful cable pattern. The flattering v-neck opening plays very nicely with the surrounding cables and melds easily into its own set of cables that flow down the front body to the hem. Slipped stitches along each v-neck edge come together at the join with a cable crossing, which is written out in individual charts for each size. This attention to detail leaves an effortless, polished, clean appearance. 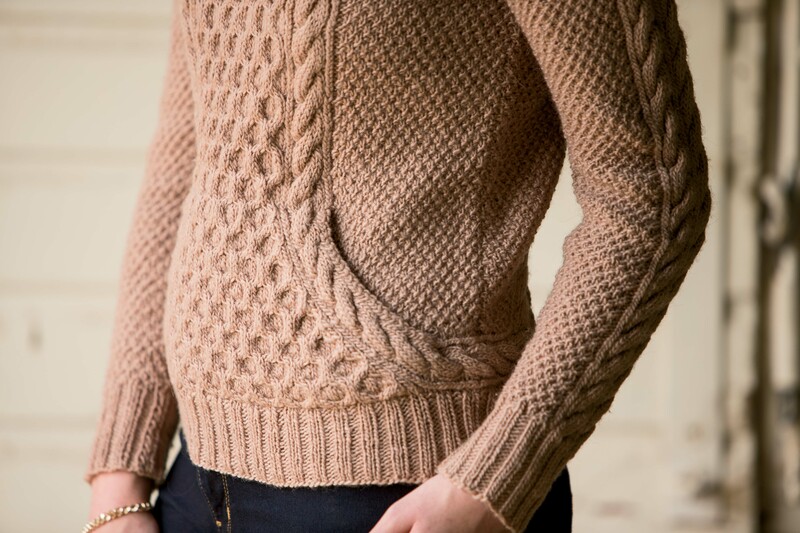 Ashley Rao's cozy Ropemaker Pullover is an architectural feat. Beginning with just a few small cable bits and growing with the help of cast-on and picked up stitches along with a bit of grafting, it's tough for anyone but the knitter to know exactly where this sweater starts! The starting cables wrap seamlessly throughout the sweater—from the hem through the front pocket, up the shoulders and down the sleeves—this pattern grows almost like magic, and the end result is nothing short of stunning. These clever little technical pieces make my not-so-inner knitting nerd super happy. I love it when I can make a piece that incorporates fun details that are unlikely to be noticed by the common muggle, but when pointed out to other knitters, make their hearts swoon. In knitting, every little bit counts—every stitch, every row—and even the smallest of niceties make the sum of the parts a complete and beautiful whole.